What is history of this site? When and by whom was it created? What were the important milestones of this site? June 2010: featured in the AMS Notices. September 17, 2014: Joel David Hamkins becomes the first user to reach 100k reputation. 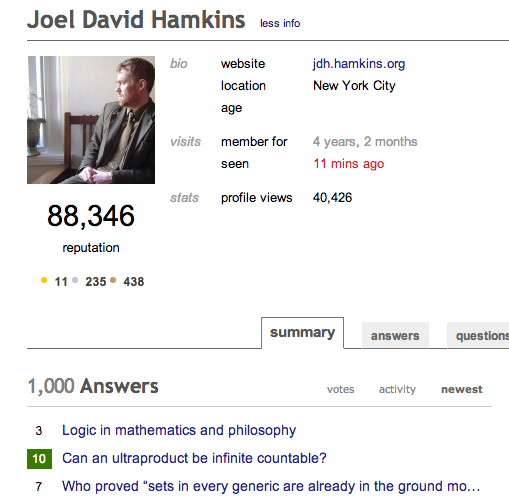 On January 30, 2014, Joel David Hamkins posted his 1000th answer on MathOverflow. Congratulations! 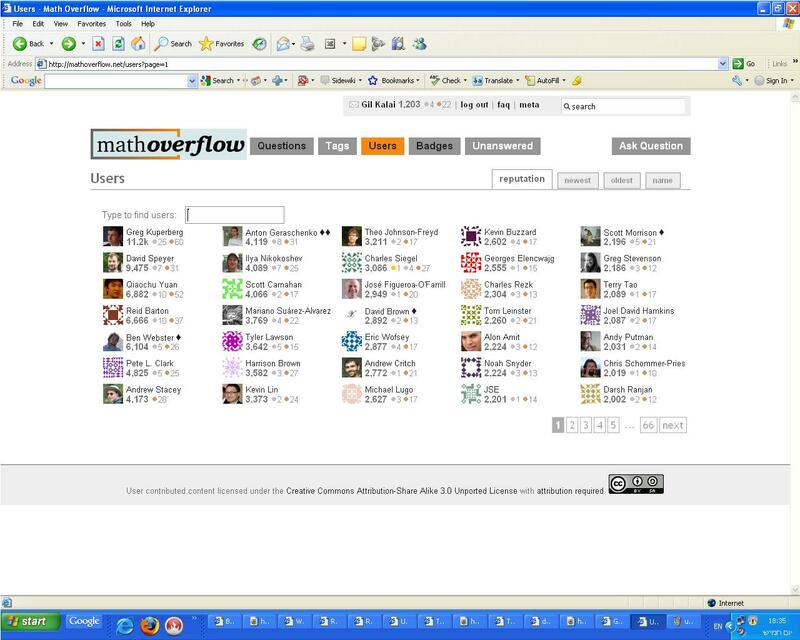 On September 17th, 2014, Joel David Hamkins became the first user on MathOverflow with more than 100000 points. Congratulations! The historical first MO golden badge was awarded to Charles Siegel for this answer. Update: Here is a historical snapshot (click for a better resolution) of top participators shortly after Charles earned his golden medal. This was shortly after Greg's sprint to (questionless) 10K reputations record. Note also that Andrew ranked 7th at the time has only bronze badges, and that Reid Barton has precisely 6666 points. Jim Belk performing perfectly centered breaks at the request of user2376055 drew a huge crowd of spectators. Now, on February 11, 2014 the count reached 100,000, and this in only slightly over 10 days, making this not only the currently most viewed question on MO, but the first question to reach 100,000 views in MO's history. Fun side-aspect: the success of the question was so massive that some even expressed doubt this is happening for real. In the unlikely event you have not yet seen it, here it is once again, the perfectly centered break according to Jim Belk. Not the answer you're looking for? Browse other questions tagged discussion faq . Who wrote the year of death in the profile page of the late William Thurston? What to do with useful answers to questions closed as duplicates (or by some other reasons)? Is there a consensus on whether history of mathematics questions are acceptable on MO? What points should someone think about before joining MathOverflow?